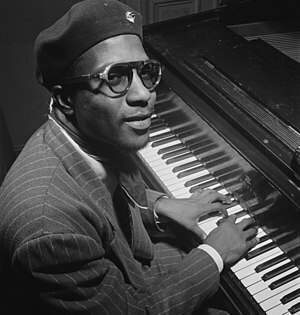 “‘Round Midnight” is a 1944 jazz standard by pianist Thelonious Monk. Jazz artists Cootie Williams, Dizzy Gillespie, Art Pepper, and Miles Davis have further embellished the song, with songwriter Bernie Hanighen adding lyrics. Both Williams and Hanighen have received co-credits for their contributions. It is thought that Monk originally composed the song sometime in 1940 or 1941. However, Harry Colomby claims that Monk may have written an early version around 1936 (at the age of 19) with the title “Grand Finale”. Monk recorded the song several times throughout his career; it appears on the albums Genius of Modern Music: Volume 1 (first recording of the song by Monk), Thelonious Himself, Mulligan Meets Monk, Misterioso, Thelonious Monk at the Blackhawk, and Monk’s Blues (bonus track). “‘Round Midnight” is the most-recorded jazz standard composed by a jazz musician. In allmusic.com it appears in over 1000 albums. The song is also called “‘Round About Midnight”, as Miles Davis used this title for his Columbia Records album ‘Round About Midnight (1957) that included a cover of the song based on Dizzy Gillespie’s interpretation. 11 Sep	This entry was published on September 11, 2013 at 9:32 am. It’s filed under Music Video, Video and tagged Bernie Hanighen, Columbia Records, Cootie Williams, Dizzy Gillespie, Miles Davis, Monk, Round Midnight, Thelonious Monk. Bookmark the permalink. Follow any comments here with the RSS feed for this post.